Whitney Rupp for Shaw Media STEM high school students from around Northern Illinois watch a presentation at UniCarriers in Marengo Saturday, Feb. 17. 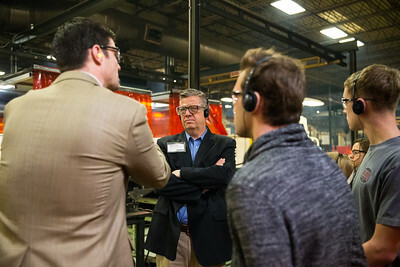 Whitney Rupp for Shaw Media Senior Manufacturing Engineer Jon Crane, far right, gives a tour of UniCarriers Americas in Marengo to Congressman Randy Hultgren (center) and high school students, along with UniCarriers President James J. Radous III, left. 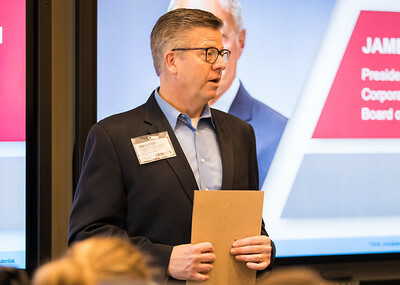 Whitney Rupp for Shaw Media Congressman Randy Hultgren speaks to students at UniCarriers Americas in Marengo Saturday, Feb. 17. The students, from 20 area high schools, toured the forklift manufacturer and met company employees. 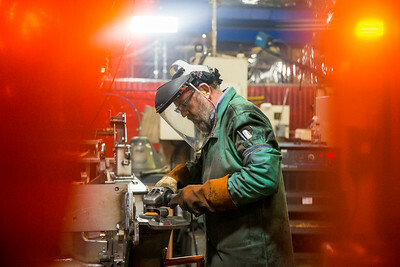 Whitney Rupp for Shaw Media Randy Smith, Woodstock, welds components of forklift machinery at UniCarriers in Marengo Saturday, Feb. 17. 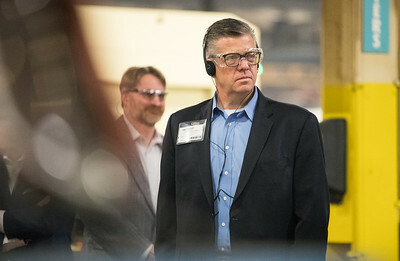 Whitney Rupp for Shaw Media Congressman Randy Hultgren listens to Senior Manufacturing Engineer Jon Crane during a tour of UniCarriers in Marengo Feb. 17. 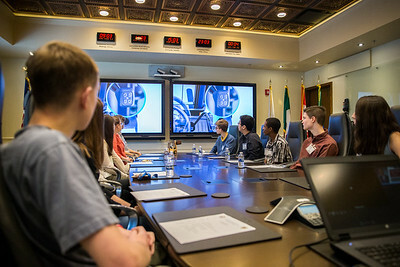 Hulgren accompanied around 30 STEM students from Illinois High Schools to tour the company. Whitney Rupp for Shaw Media Congressman Randy Hultgren takes a tour of UniCarriers in Marengo Feb. 17. 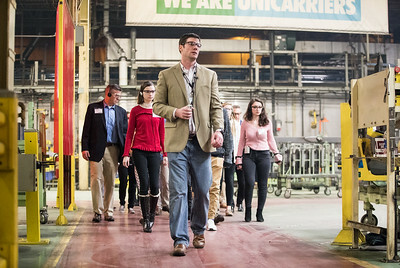 Whitney Rupp for Shaw Media Jon Crane, Senior Manufacturing Engineer, leads a group of students along with Congressman Randy Hultgren during a tour at UniCarriers Americas in Marengo Feb. 17. 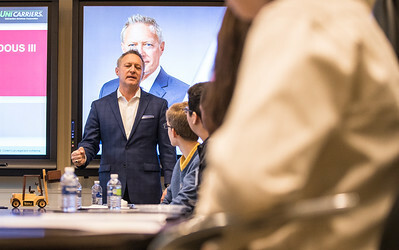 Whitney Rupp for Shaw Media UniCarriers Americas President James J. Radous III speaks to high school students at a tour of the forklift manufacturer Saturday, Feb. 17. 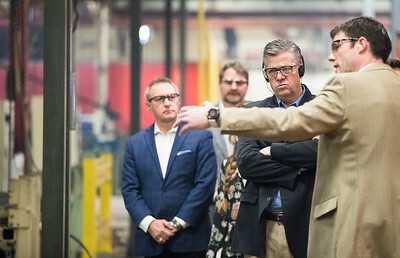 Senior Manufacturing Engineer Jon Crane, far right, gives a tour of UniCarriers Americas in Marengo to Congressman Randy Hultgren (center) and high school students, along with UniCarriers President James J. Radous III, left.